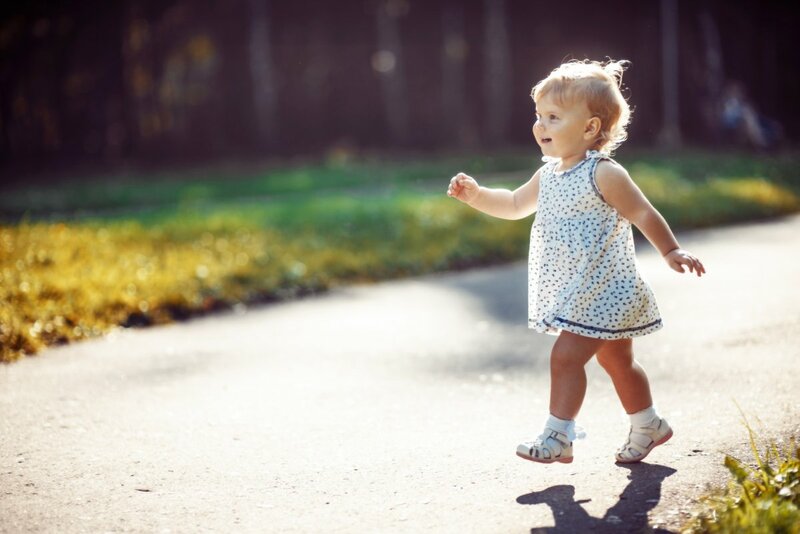 We can’t describe with words the joy that we feel when our little ones take their first steps – but we have to know that learning to walk is a lengthy process which should not be taken lightly: the first wrong step might lead to another, then another and eventually to walking problems and nobody wants that. 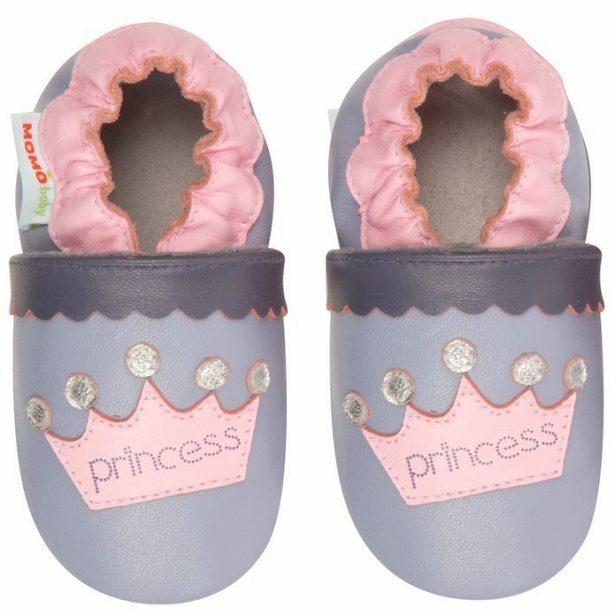 Fortunately, you can do it right from the beginning and we are here to help you out even more by sharing some of the best baby walking shoes for girls aged 12 – 18 months. If that’s not what you are looking for, make sure to check out our article with the best baby walking shoes for boys. This period is crucial and great baby walking shoes are not optional! Have in mind that they should not be worn at all times: it’s best to keep your little girl barefoot for as long as possible in order for her to learn the ropes of walking. But when that’s not possible: when going out or for a visit or something similar, having the best walking shoes is a must. 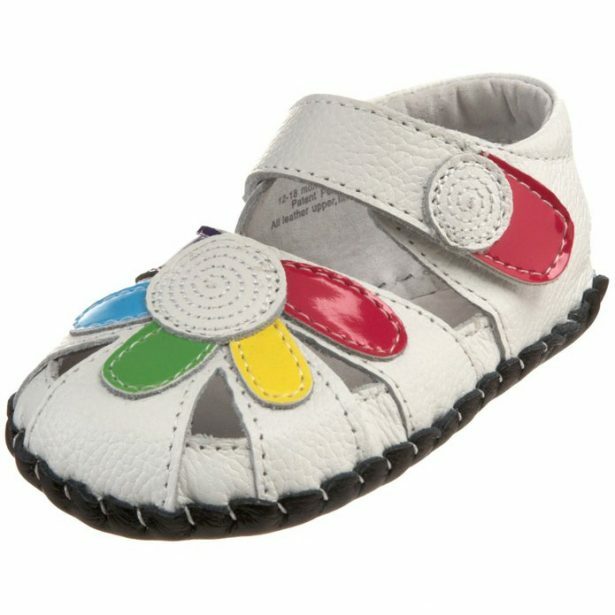 And that’s exactly what we’re here to share with you: a bunch of great baby walking shoes for girls in 2018! 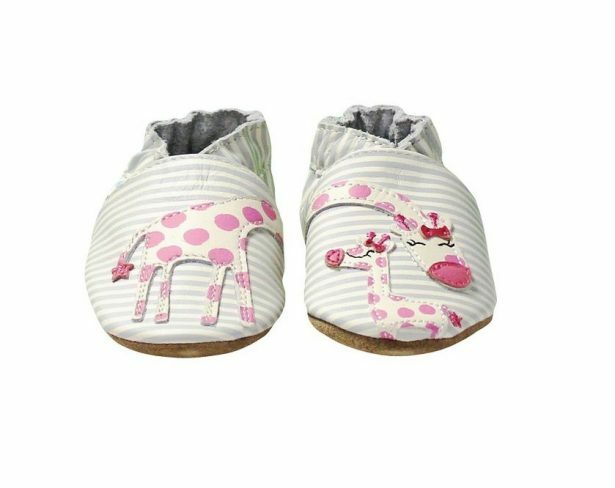 We follow the recommendations of the American Academy of Pediatrics when it comes to choosing the first pair of shoes for your baby, which should be lightweight and very flexible, allowing their feet to move naturally. 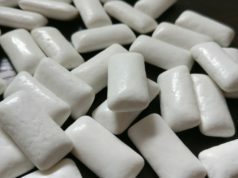 It’s also recommended that they’re made of leather or mesh so their feet can breathe and rubber soles are also a good idea for the shoes in order to prevent slipping. Make sure that you select the correct size for the shoes listed below and you’re all set. 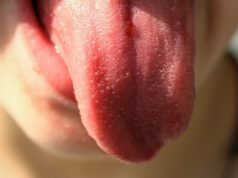 No need to search anymore because we have the best of the best listed in this article, after doing comprehensive research so that you don’t have to! 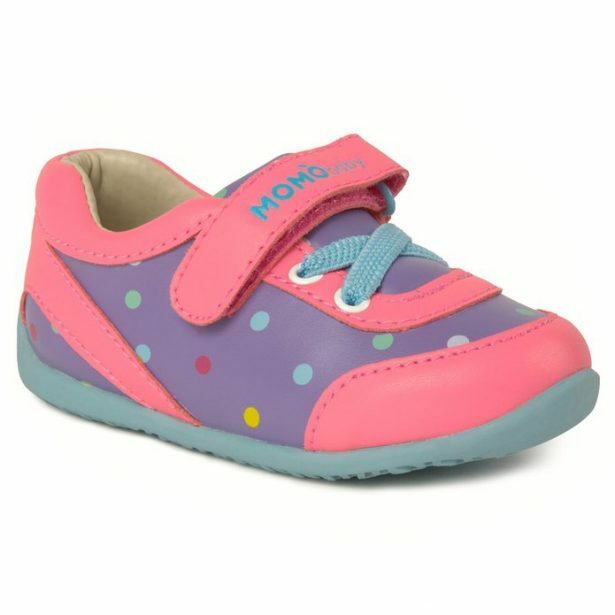 Made of leather (including the sole), these walking shoes from Momo Baby – my favorite brand when it comes to baby walking shoes for girls – are accepted by by the American Podiatric Medical Association (APMA) because they really support and help the little bundle of joy in taking her first steps. They are beautiful too, so click here to buy them or check them out. Not only that these shoes look absolutely amazing, but they’re also from a renowned brand that produces walking shoes for babies. 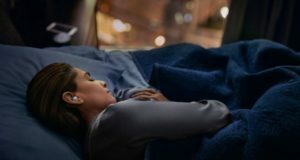 They have the Seal of Acceptance from the American Podiatric Medical Association, an accreditation only awarded to products that promote natural foot function. 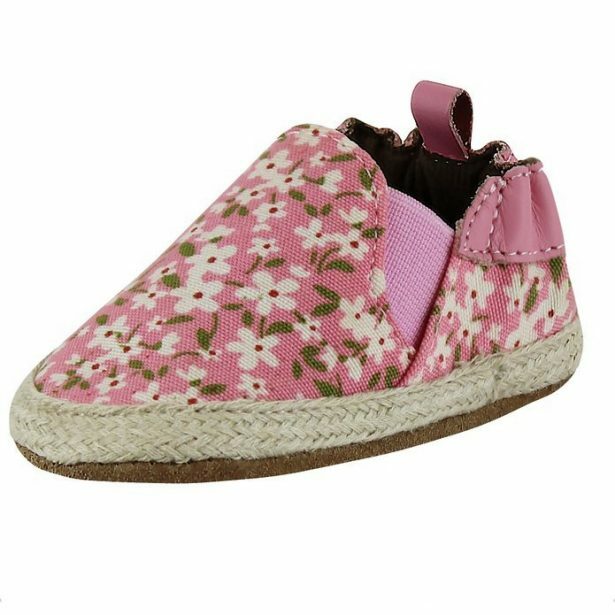 These sneakers feature a floral print all over fabric with pink leather trim. These adorable slip-on sneakers look great with leggings, shorts, jeans, skirts, or dresses and have an elasticized ankle design to make sure that they stay on at all times. If they look like something you’d like to get, click here to purchase or check them out! Another brand that has the APMA seal of approval, pediped comes with these great shoes that are more suitable for indoor use thanks to their anti-slip leather sole. They are also cute and colorful, bringing extra joy every day! 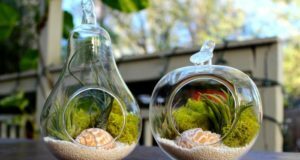 Click here to check them out and purchase them. These shoes are perfect for outside wear thanks to their flexible rubber soles that offer increased slip-resistance. The upper part is made of high quality leather and I absolutely love the design! Just like all Momo Baby walking shoes, they have the APMA seal of approval, so click here to buy and check them out. Just look how absolutely cute they are! 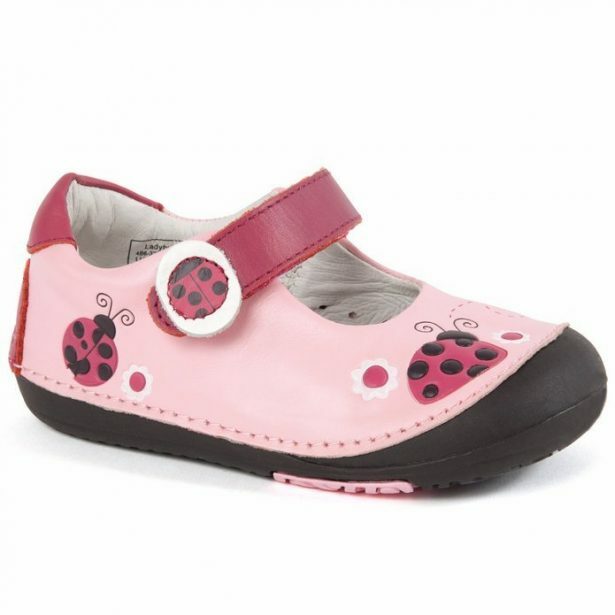 Probably the cutest on the list and also of high quality: Robeez shoes are made from ultra-soft, flexible leathers that bend in all directions for added comfort. I love them! If you do too, click here to buy or check them out. 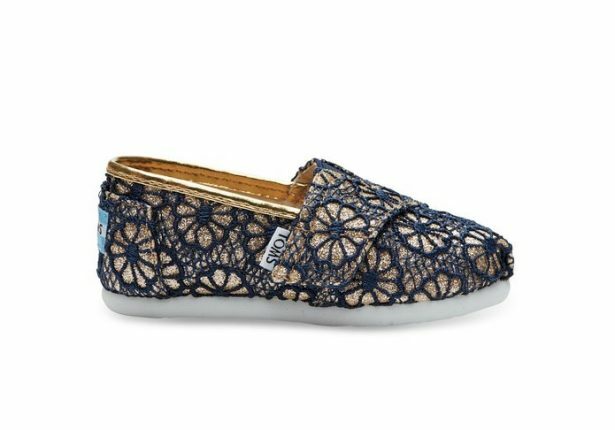 If you’re looking for a classier design, you can always opt for the Toms Toddlers Casuals. 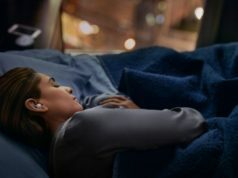 There are a ton of models available as well and a wide range of colors, so if you don’t like this particular model, you can always find a new one. Click here to check them out and purchase them. Back to my favorite brand with another pair that is great for outdoor use – and you’ll be surprised with how durable they are. 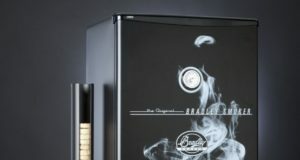 The nice design is youthful and happy, so click here for purchase options or to find out more. Just look how beautiful these are! Absolutely charming! Have in mind, though, that since they have a leather sole, they’re better suited for indoor use. 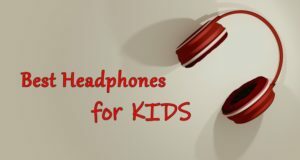 Click here to buy them or check them out. 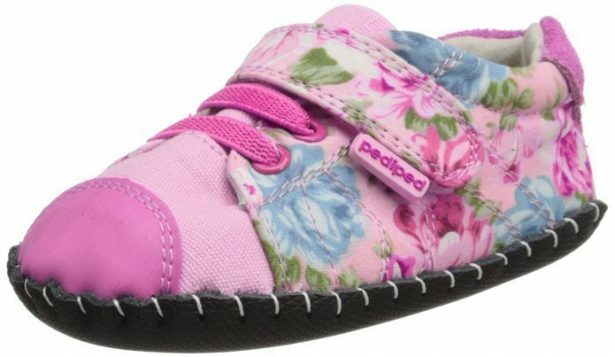 We’re rounding up our list with another great pair from Pediped. Made of leather and with a leather sole, this sandal is cute and perfect for baby girls learning to walk. Click here to buy and find out more about it. And this is it! 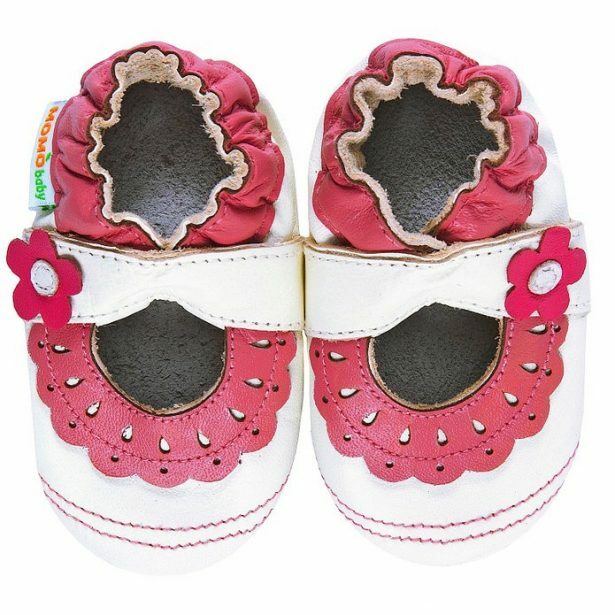 The pairs above are our recommended, best baby walking shoes for girls this year. Don’t forget to choose the right size when ordering to make sure that they fit perfectly (there’s also a size chart on each page to check out)!